I'm creating an Android application in which I want user to select a number from 1 to 12 (The standard in which user is studying). For this I've considered a dropdown with numbers 1 to 12 or a seekbar with range 1 to 12, but I think it'll not be good user experience to provide just 1,2,3.. numbers in dropdown or in seekbar. What is the recommended component to use in such cases? 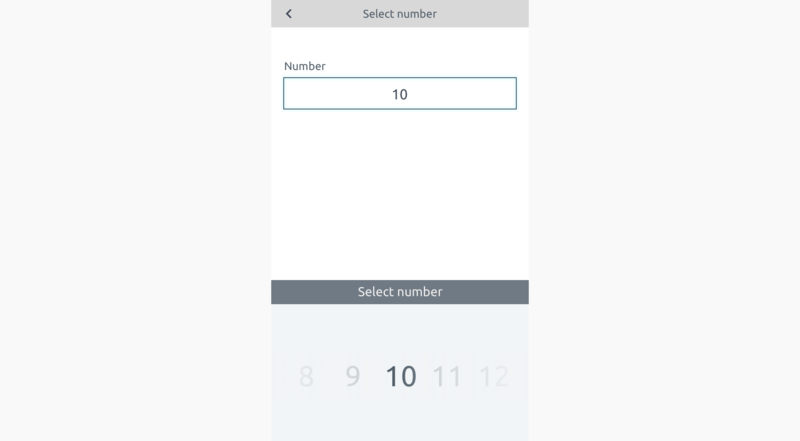 All the user needs to do is select the field and then type the number (with the majority of selections having just 1 number in anyway). Entering numeric values on a number pad is generally more efficient for users. There are only 12 options in a list which is probably too long for a drop down (on mobile especially) and given the characters they could be rather tricky to select, typing will be better. ...and cap it at 12, or put a supporting note to tell users it caps at 12 (if needed), or simply put a 1 and 12 either side of the plus and minus to show both ends of the scale. Personally I prefer the first two as they are more efficient and user friendly where as the latter has more room for error (particularly for users with large fingers or any accessibility issues). You can show a dialog, when user clicks in that field , show 1 -12 values on that, on which user can just tap. In this way user can input desired value in just two taps. You could use circle just like the default alarm/clock app does. The skeuomorphism doesn't work with your use case, but people will be acquainted with the UI. 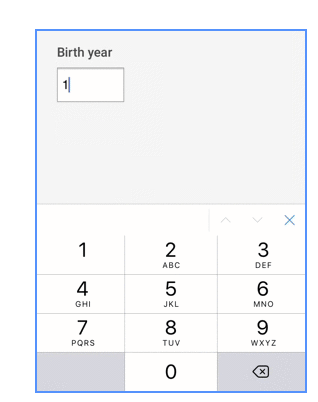 It depends on the available space as well as type of field, if you have enough space you can have a slider to select a number, though I would prefer to have pulldown menu for input fields. It’s more intuitive. Not the answer you're looking for? Browse other questions tagged gui-design android selection android-ux or ask your own question. What are the best practices for UX concerning Web 2.0 RIA applications? ICS style guide - Is there a standard icon to indicate drag and drop in a list view? What is the difference between PHONE NUMBER & NUMERIC TEXT inputtype in android text fields? How to display additional data in an options list?